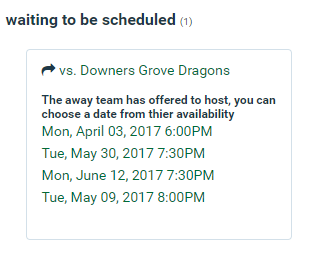 If your opponent cannot host a game for any reason, you can now offer to host the game. 1. Click the team you would like to offer to host. 3. The other team will see your offer to host and your available dates. 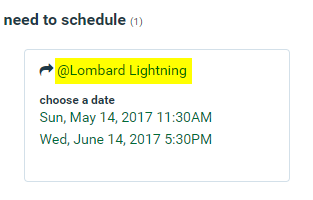 If they select a date/time from your available dates, it will be added to both team’s schedules.